Thanks to digitalization, a lot of everyday tasks have become easier, faster and more efficient. Just think of Google, could you still imagine a time when finding and sharing knowledge was limited to teaching in school, reading science books, visiting museums or interacting with friends? Or would you still find your destination even without the help of Google maps? Much has changed since the start of the digital age. Only 29 years ago, Tim Berners-Lee introduced the internet to the world. Since then, storing and retrieving information has become easier and mobile devices allow us to access data anywhere, anytime. The speed, efficiency and ease with which we gather information has drastically increased. Whole digitized libraries can be found on the internet and let us access in-depth knowledge without the need for hard copies. Suddenly, almost all expertise is only one click away. Today, we save incredible amounts of time when looking for intelligence and we enjoy an enormous comfort in accessing it via the world wide web. Sounds like a big success story so far, right? Digitalization has made our lives substantially easier, but has it made it any simpler? From the time the world’s first website went live from the nuclear lab CERN in Switzerland in 1990, internet volume and usage has shot through the roof. In less than 30 years, the global web has been extended to almost 2 billion websites and the amount of data available online is growing excessively over 2.5 million TB each day! 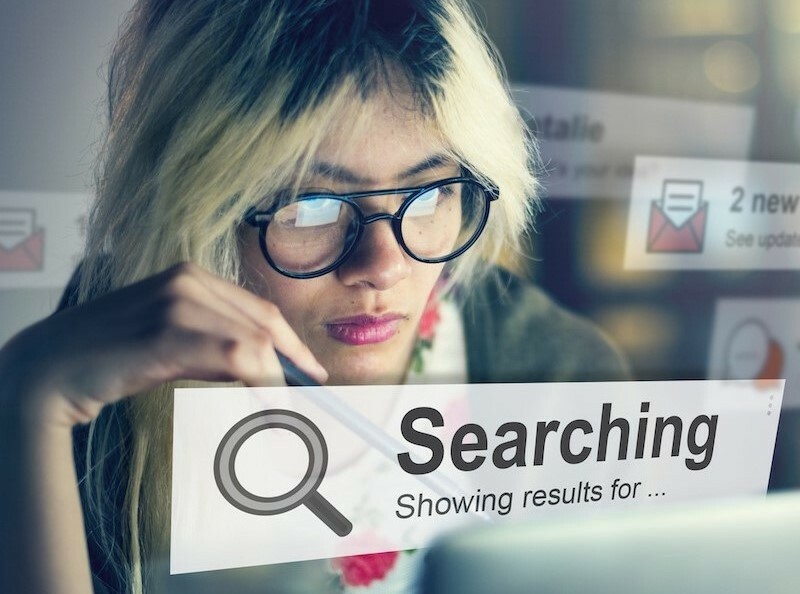 This impressive accumulation of knowledge has raised a big challenge: how do you locate a specific piece of data, such as a document or an image, that does not pop up immediately on your search engine? Googling the answer to any kind of question has become so standard, that we sometimes forget that there is integral information that cannot easily be sourced. As much as this free flow of expertise is useful to inform the public, it is of no use for sensitive or confidential data, be it private or corporate. You will have a hard time finding your neighbour’s salary statement or your competitor’s business plan online. While private files can easily be stored in a safe place at home, and be accessed only by the owner, it is by far more complicated in a professional environment. A company faces the complex task to handle storage of and access to extremely large quantities of documents. The possibility of digitizing data and transferring it from filing rooms to servers came with high hopes of easier handling. The hopes have been fulfilled as far as the file size is concerned, but the sheer number of documents stored has increased dramatically. The Financial Times estimates a document review that 15 years ago might have involved 20,000 documents, could now hit 2 million! To this day, it remains incredibly cumbersome to search for a particular text passage in or even to keep an overview of your entire document base. You may no longer be buried under paper piles, but you will find yourself endlessly scrolling through the depths of your company’s data servers. Imagine if there was a handy tool like Google that would simplify and speed up your dealing with data! How to combat repetitive, time-consuming chores at work? In the very near future, things will become simpler. This is thanks to artificial intelligence and machine learning — two core technologies of today’s digitalized world. But how can they help? Simply put, artificial intelligence refers to algorithms that enable computers to perform tasks that usually require human skill or intelligence. Machine learning refers to artificial intelligence algorithms that are trained by feeding existing data for the task into a computer and have it identify patterns, subsequently allowing it to perform these tasks on unseen data. To tackle the data flaw of the digital era, smart software like Legartis come right on cue. Legartis was developed by lawyers that got tired of wasting their time reviewing lengthy contracts to find the needle in the haystack. Thanks to artificial intelligence, Legartis can automatically analyse complex contracts and reveal critical content, faster than you imagine! The simple task to find GDPR clauses in 10’000 documents would have taken up to 6 months in manual work, but can now be done within hours. Focus on what matters and let the repetitive work be dealt with by this new software. We're a SaaS solution which allows companies to identify, classify and understand contracts in seconds using NLP and AI. We automate the analysis of contracts.